She-Hulk #162 Review – AiPT! The themes of reconciliation are strong, but with inconsistent artwork, is this series limping to the finish line? As She-Hulk wraps itself up before a cancellation I still don’t fully understand, Jen Walters has to confront her greatest fears: She-Hulk’s destructive nature, life without Bruce, and, potentially hardest of all, what she may find within herself. Intellectually, I get why comics get cancelled. It happens. Sales fall, stories change, etc. After beginning the series in 2005 She-Hulk had what is probably my personal favorite run with the character under the creative team of Dan Slott and Juan Bobillo. The meta nature of the “Single Green Female” years along with just stand-out art struck a chord with me. Recently, however, I’ve felt like the Jen Walters I knew died. Maybe it was with Bruce when Hawkeye truly shocked the Marvel Universe. Maybe it never really got back off the ground correctly in 2014 after being cancelled the first time in 2009. Maybe the real Jen Walters has been dead for some time and is only now coming back to herself in the face of the end of the line. Jen, after another destructive battle as the grey She-Hulk, has taken a step she never thought she would: to seek the advice of Florida Mayer, a therapist/personal stalker who hounded Jen for an interview for her book about personal trauma. As the book opens, Jen is trapped, a prisoner of her own uncontrollable inner monologue. Actually, having Flo go meta so early in the issue helps break us out of reality and into the subconscious of She-Hulk. Jen’s war between her three selves – Jennifer Walters, green Shulkie, and grey She-Hulk – is explored and worked through in some predictably destructive ways. Perhaps most important to the overarching closure of the series is Jen’s reconciliation. Not as in forgiveness, but in the original meaning as a restoration. Jen must reconcile her recent traumas, beginning with the death of Bruce Banner, with who she is as a person and a hero. 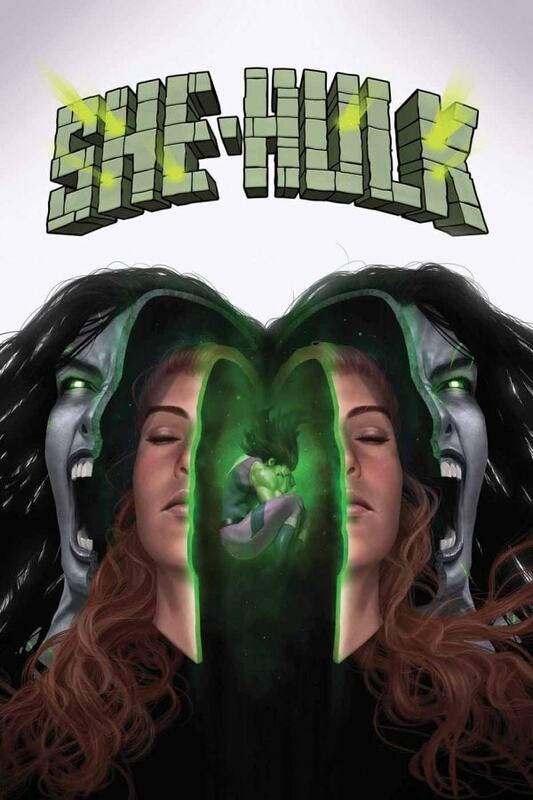 She needs to know why the grey She-Hulk exists and why fear controls her life. While, in the average trauma survivor, this process could take years, Jen is a superhero with a hard deadline. The reappearance of Jen’s true self is quick, but necessary to complete the rebuilding and reconciliation. As I said earlier, my favorite run of this comic was the Slott/Bobillo days, so I do have a hard time with the art at times. Sometimes, artist Jahnoy Lindsay does really good, detailed work and other panels just look unfinished. The reappearance of the green She-Hulk breaking through is very well done and captures some of what I’ve enjoyed so much about Russell Dauterman’s work on The Mighty Thor, another female-led comic that is being cancelled. The final pages of the issue, however, have some odd proportional choices and Jen’s more cartoonish face just doesn’t work as well with her larger, green-skinned form. Is the comic limping to the finish line?